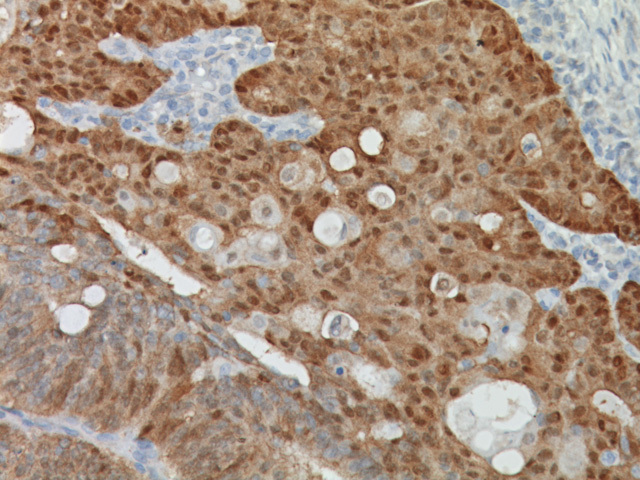 Cytokeratin 17 antibody (CK17) is a type I keratin that reacts with a 40 kDa polypeptide. 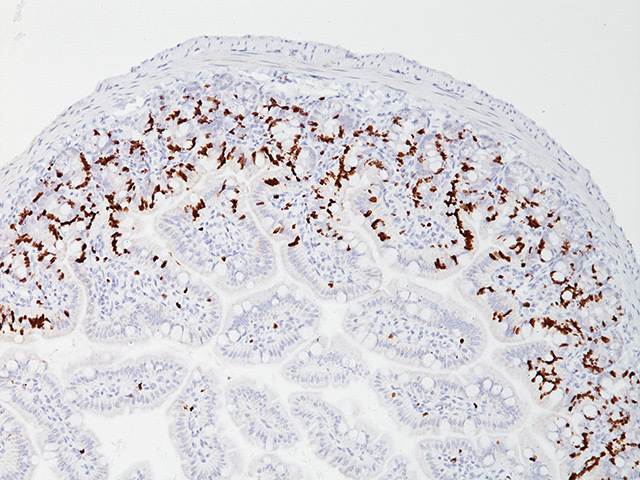 CK17 staining occurs in human epithelial appendages such as hair follicles. Studies indicate CK17 maybe an excellent marker for the identification of squamous cell carcinomas in various tissues including the cervix, lung and oral cavity. 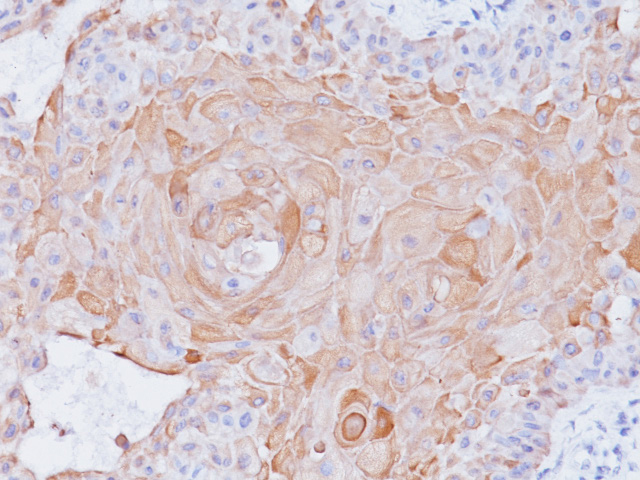 CK17 may also be helpful in distinguishing myoepithelial cells from luminal epithelium of various glands such as mammary, sweat and salivary. 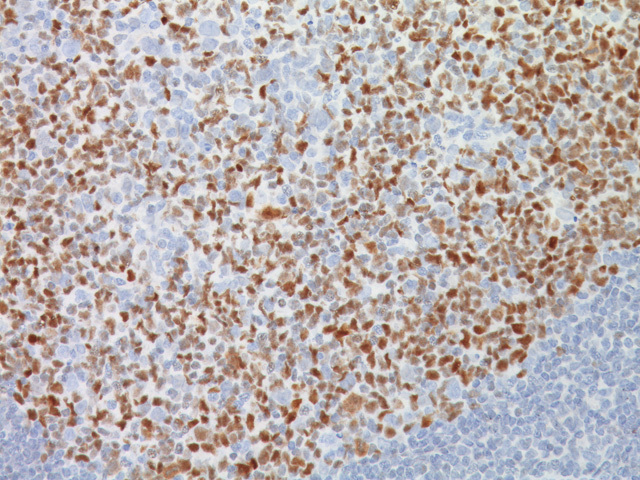 Positive expression of CK17 in breast cancer has been associated with a worse prognosis, high tumor grade and positive axillary lymph nodes. 1. van de Rijn M, et al. Am J Pathol. 2002 Dec; 161(6):1991-6. 2. Guelstein VI, et al. Int J Cancer. 1993 Jan; 53(2):269-77. 3. Lui ZB, et al. Tumori. 2009 Jan-Feb; 95(1):53-62. 4. Martens JE, et al. Anticancer Res. 2004 Mar-Apr; 24(2B):771-5. 5. 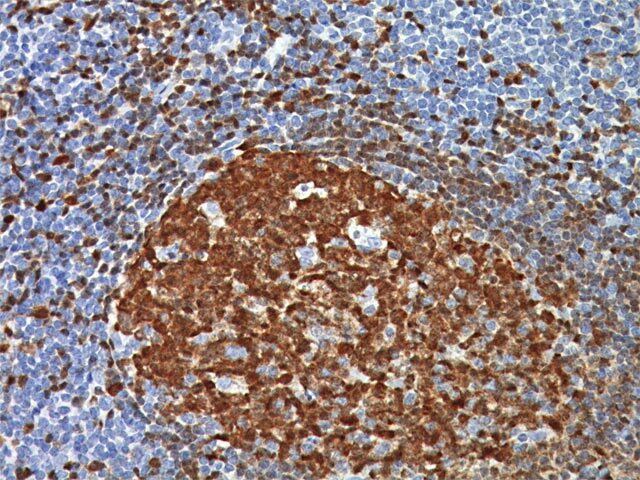 Lerma E, Barnadas A, Prat J. Appl Immunohistochem Mol Morphol. 2009 Dec; 17(6):483-94. 6. Liu ZB, et al. Tumori. 2009 Jan-Feb; 95(1):53-62.